A diagram of how to build an ungulate-friendly fence, from a 2015 handbook for landowners by the Wyoming Wildlife Foundation. This reminds me of why it’s too bad that our state legislature works to undo counties’ attempts to require wildlife-friendly fencing. 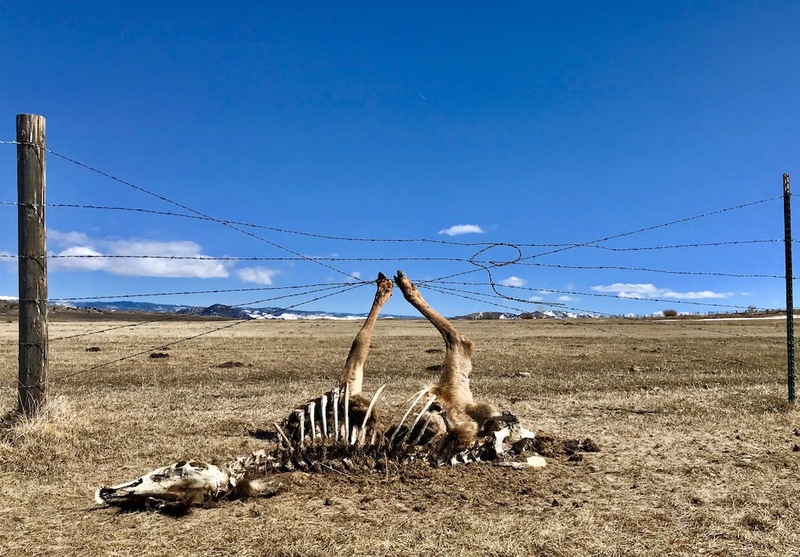 How controversial can that be, especially here in Teton Co where the word is out on the multiple ways we can have effective fences that also work for wildlife? Scenes like this are heartbreaking and unnecessary. All fences on Wyoming State Land and federally managed public lands should be mandated to meet the wildlife friendly fence recommendations suggested by the Wyoming Wildlife Foundation.